OMG! 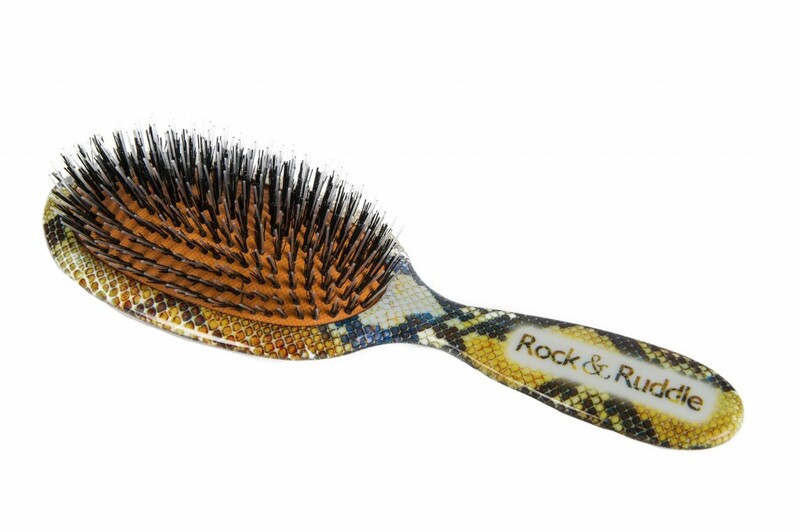 Rock & Ruddle hairbrushes were made for people like me with long Christmas shopping lists. 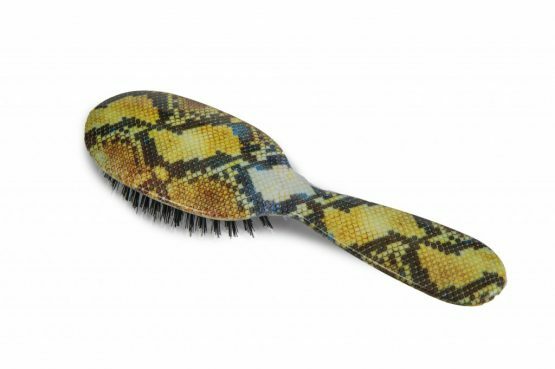 These brushes are the BEST and most FUN Stocking Stuffers! And not just for others. First of all for me. 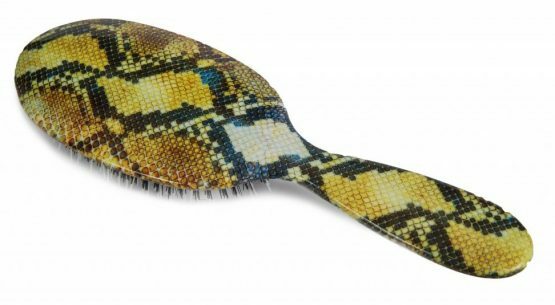 I absolutely love the one I already have — a small sleek and sultry Python brush which spends its days and nights lurking languidly in the shadows of my handbag, warding off The Evil Eye while at the same attracting admiring glances of friend and stranger. 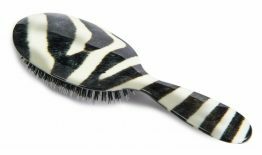 And, I TOTALLY need another — Because first of all, it has become my signature hairbrush, and frankly, it’s exhausting having to race upstairs every morning to get it out of my handbag instead of just keeping one in the bathroom…. Oh, yes, and I should definitely keep one in the car. Check. Check. Looking down my Christmas list… Let’s see, there are my three daughters — each of whom has, on at least one occasion, ‘borrowed’ my Precious Rock & Ruddle Python brush for an extended period of time. So better get them each at least two. Maybe the ZEBRA. Maybe the LEOPARD. Just MAYBE another PYTHON. And since they are also CAT and DOG people, how can I resist those? Check. Check. Check. Now, for that lovable rascal, my grandson. Definitely the TRUCKS for morning tangles. And a RABBIT for quieter moments (dream on….). Check Check. Can’t leave my husband out, even though his hair is thinner than he would wish. He still brushes faithfully every day with great hopefulness. The Green Racing Stripes with a nice round #1 in the middle will send him my most sincere message. Check. Oh, gosh, can’t forget Mama, my sisters, my brother, a few in-and-out laws, and my dear friends Paula, Kathryn, Farley, Bacot, Millie, Eleanor, and Sallie… CheckCheckCheckCheckCheckCheck.CheckCheckCheckCheckOoooooh! 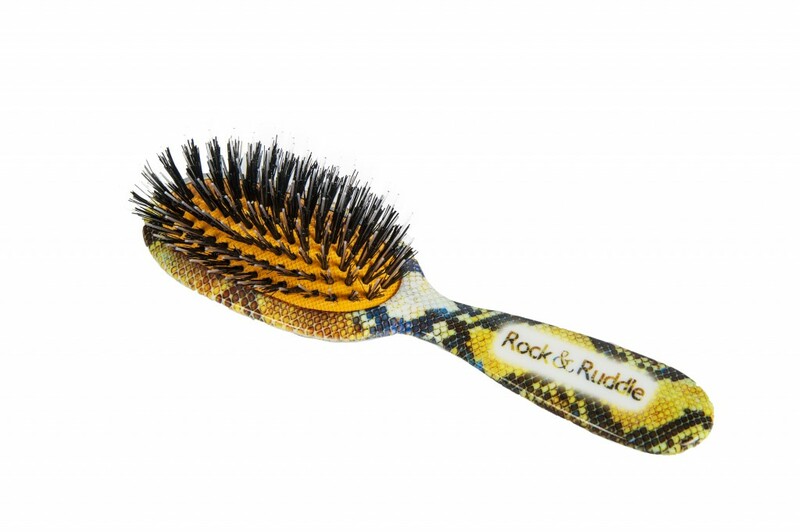 How I love Rock & Ruddle brushes at Xmas Time. Check and Ahhhh! And now that all my Christmas shopping has been done so quickly and efficiently, I think I’ll just put my feet up and enjoy a glass of Champagne. Thank you Rock & Ruddle. Check and CHEERS! Bought this for both my step-daughter (15) and friend (40+) and both love it. The cool design and great brush were a win. 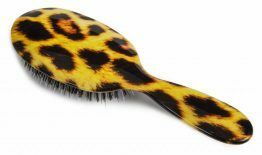 Also brilliant bristles that get through super thick hair!